It's Valentines Day, friends! 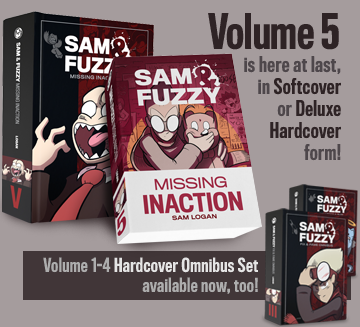 And with it comes not only a new Sam and Fuzzy, but also the new issue of Invader Zim that I wrote! (Which you can learn all about in our previous newspost!) 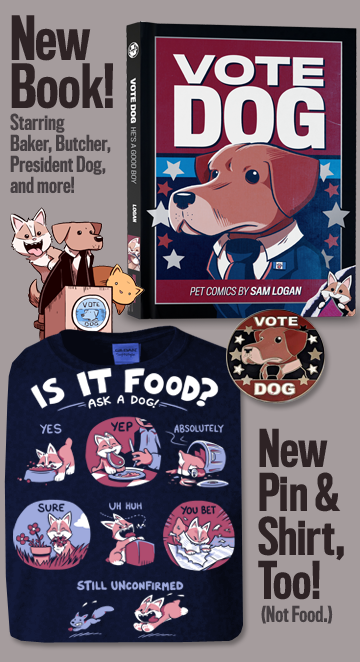 You can nab the later at your local comic store, or digitally via Comixology. S&F and Invader Zim... a true OTP! Or something. Come back on Friday for our next comic! I had a ton of fun writing Zim and Gir! I first discovered the Zim show when I was only a year or two into S&F, and I'm still a big fan. 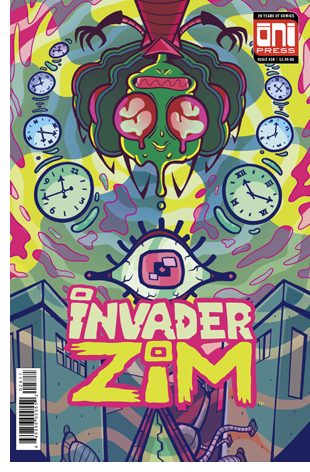 I definitely recommend checking the issue out if you're a fan of my nonsense or Zim's nonsense. (And particularly if you are a fan of both!) It's a stand-alone story about weird time stuff, with awesome mind-bendy art by Mady G, colours by Fred C Stressing, and lettering by Warren Wucinich. We return on Wednesday with our next S&F. See you then!